Basic Combat Training Drill Instructors – Ordo Militaris, Inc. The Ordo Militaris Catholicus is an international defense and security initiative of Catholics for Catholics who are suffering persecution for their faith, where their defense and liberation requires military intervention or security actions, and this is allowed by local and/or international law. 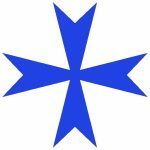 In the U.S.A., the Order has founded a Wyoming C-Corporation, with the legal name, Ordo Militaris, Inc., as a Private Military Corporation, to conduct the defense and security initiatives that the Association seeks to undertake. Following in the footsteps of the brave Catholics of old, who forsook family, home and nation to go overseas to the rescue of Christians being persecuted for their faith, Ordo Militaris, Inc. seeks to form, compose and provide a Catholic force of volunteers to serve on military, security, and humanitarian missions to high risk areas of the world. Train recruits in basic combat tasks. Train recruits in guard duties and responsibilities. Train recruits in close order drill. Instruct in nomenclature, disassembly, assembly, and functioning of small arms and train or assist in the training of marksmanship. Train recruits in the fundamentals of military life including personal hygiene, first aid, military bearing and neatness, and care of clothing and equipment. See to the development in the recruit of discipline, physical fitness, pride, and a sense of the fraternity of the order. Maintain records and prepare reports, providing counsel to corporate leadership on all pertinent aspects of the program prior and during each course iteration. Collaboratively assess and determine staffing needs for Training Team according to larger and smaller recruit classes throughout the year. Work cooperatively with religious leadership to design a basic combat course that is distinctly Catholic in all regards (to include training, instruction methods, and individual comportment) and will include a complete course of instruction in Catholic Religion for adults. While the religious component will be taught by competent staff, the character of these teachings must be integral to the design and experience of the course as a whole. Prior E-5 or above Drill Instructor or equivalent in any branch of U.S. service, discharged honorably. DD-214 and proof of graduation from the Drill Instructor School or service equivalent. Three years of service as a Drill Instructor or equivalent at a recruit training or officer instruction school. Applicants with fluency in more than one language are preferred, due to the international character of the organization. The candidates will be a practicing and serious Catholic or have similarly extensive experience and knowledge of the Catholic Religion, will be willing undergo a background investigation, and will present a good example of faith and discipline to new recruits. The selected candidates will report directly to the President/CEO of the corporation and is expected to show the personal and collaborative initiative, determination, and flexibility to make the basic combat course a professional and successful program. Remuneration: Pay will be commensurate on experience, and be in part by salary, in part by share in equity program of the start up which begins vesting after 1 year, and increases with effectiveness and seniority with the organization. If you have questions about this position, call our office. To apply for the position, send in the documents listed at the bottom of our Sign-up page.